I decided to do a mid week update because I have been working on a lot of little things here and there. I decided to start from the tail and work my way forward doing lots of little things. 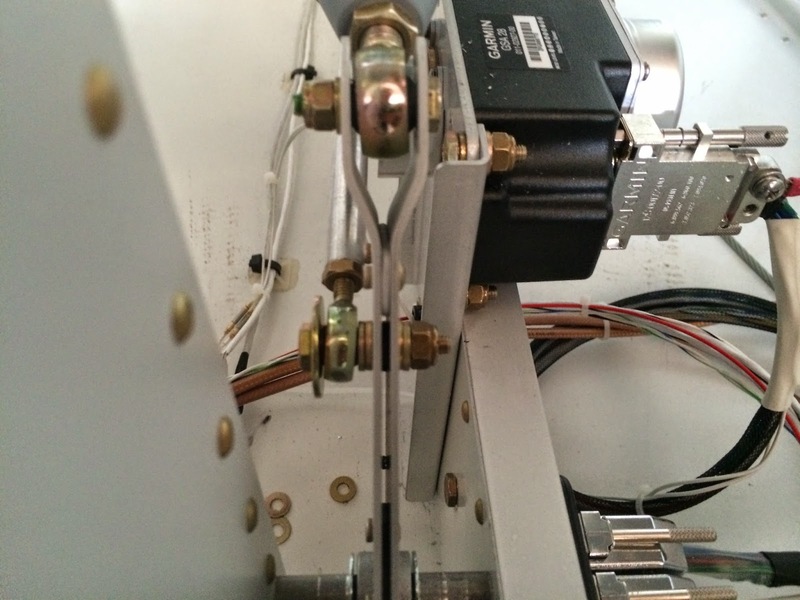 As I have been working over the past several months I have installed things "temporarily" which means I don't install cotter pins or torque the bolts down and indicate that they are torqued. That's what I have been working on for the most part but I have made a few advances as well. I removed the canopy once again because I need to paint the new attach brackets and I need to put some countersunk screws in the roller track. The pan head screws that are there now do not work with the new tip-up mod that I installed last weekend. After getting the elevator hooked up I found that my pilot side control stick was hitting the switches on my panel. 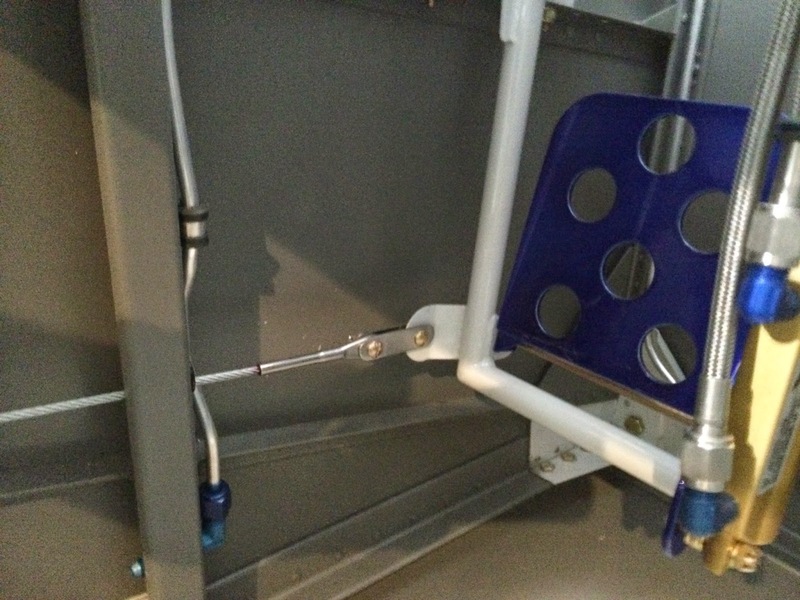 That means I had to adjust the push rods at the belcrank just behind the baggage area bulkhead. This is a picture I took while I was laying in the fuselage in 100 degree heat trying to get all the washers and bolts in the proper location. The stick now clears the panel but not by much so I may have to do a little more adjusting. Rudder cables are installed on the rudder in this picture. I also riveted the nutplates to the access panel at the top of the picture for the cover plate that is going to be installed. 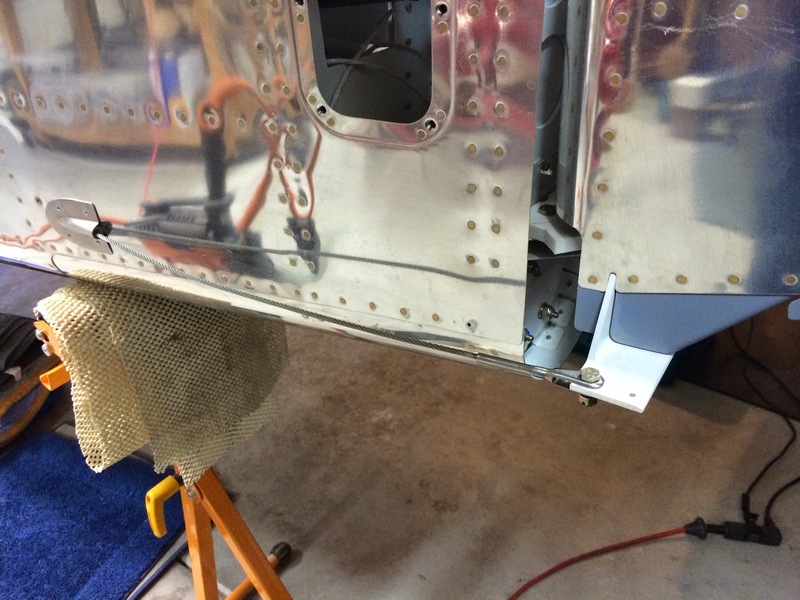 I plan on putting a small window in the cover plate so I can visually inspect the elevator bolts during pre-flight. 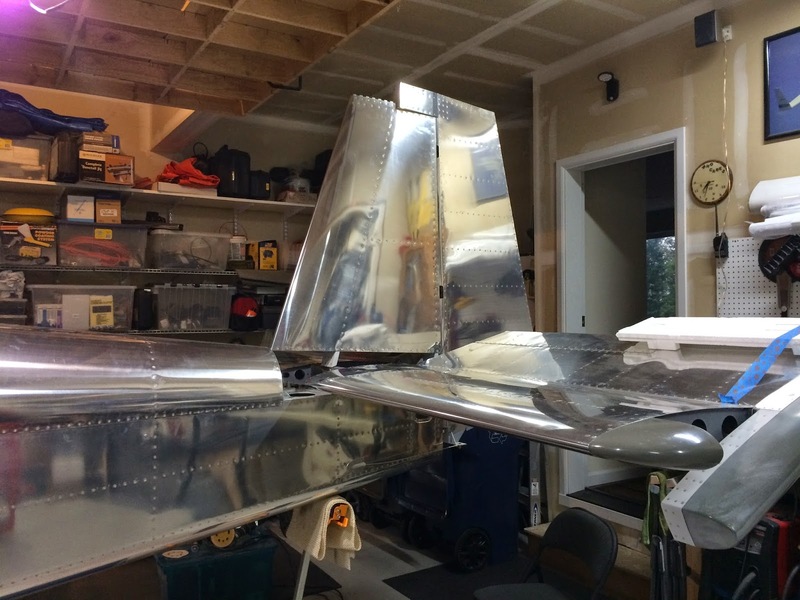 Vertical Stabilizer and Rudder installed. VS is torqued down since I don't plan on removing it again. Key word there being "plan". 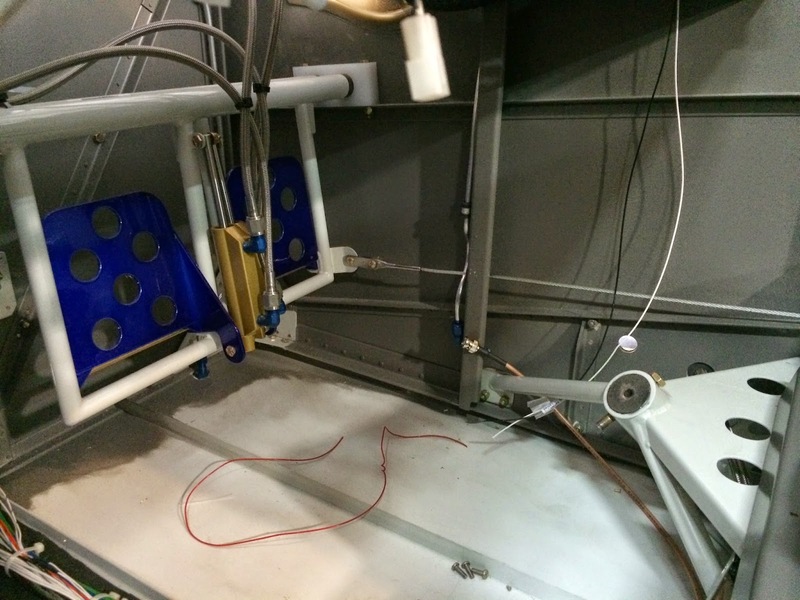 Rudder cable attached to the right rudder pedal. This required me to fabricate two sets of links that go from the rudder pedal to the cable end. These are not prefabricated because the length depends on where you put your pedals. I build two sets, the first out of aluminum, so that I could check the spacing before I started cutting the 4130 stainless steel. And here is the pilot side (left pedal) connection. The picture is a little blurry but you can see the connection easily enough.